Knowledge about every individual’s strengths and weaknesses and can offer precise solutions. Read the last sentence first as often times that are enough to answer the question and you avoid the fluff and distractions. Incorporate these strategies while preparing for the PMP® exam. How can I best manage my time during the actual exam? • Mark the questions that need to be reviewed at the end of the exam. Discuss the following with your PMP coach to learn other ways to be successful on the PMP® exam. How many times should I take practice tests and what scores should I aim for? Track your progress by recording your score on each practice test your PMP coach to track progress through every test and to assess the quality of mock tests. PMP exam prep requires a lot of time and effort to achieve the desired results. A PMP coach plays a significant role in preparing the student to take on the challenge. As a project manager, if you want to take your career development to the next level, there’s only one way to do so - acquire the PMP certification. The PMP Exam is the only barrier that stands between you and your dreams of stepping out of your current corporate doorstep. PMI recently announced that the PMP exam has been revamped, with changes in effect from January 11, 2016. With several aspirants lining up to take the PMP exam, the fact that the PMP exam has been changed has raised a lot of questions amongst PMP aspirants. Why the sudden change is necessary? The PMP exam is an accurate reflection of the tasks carried out by project managers on a daily basis. Practices change over time and so does a project manager’s role. In order to keep pace with the changes, the PMI conducts a Role Delineation Study (RDS) every few years. If PMI didn’t regularly change the PMP Exam, PMP aspirants would still be tested on techniques that have long become obsolete and irrelevant. 3. The reference book – PMBOK Guide fifth edition – remains the same. All the PMP aspirants who’ve been frantically looking for answers to this question can breathe a sigh of relief. The changes are minimal! So all the PMP exam prep courses you’ve attended and hours of PMP training you’ve acquired wasn’t for nothing. Though the domains remain the same, the allocation of questions has slightly been altered. Specifically, percentage of questions in the Executing section has been raised to 31% while those in the Closing section have been brought down to 7%. The new PMP Exam Outline includes modification of a few tasks and removal of a few. The most notable changes made are the addition of 8 new tasks, raising the number from 34 to 42. Nearly 25% of the new PMP exam content is focused on the topic areas covered under the eight new tasks. This means that a sizeable number of questions will be based on entirely new areas. Even though principles behind a majority of the tasks remain the same, some of the language and the terminology used have been altered. What’s the best exam prep approach? 1. First, stay calm. The changes are minimal and there’s no need to push the panic button. 3. The reference book remains the same, but you’ll need to ensure that all your exam preparation material reflect what’s required for the new PMP exam. 4. We have updated our study materials to fit the current PMP exam model. This means that if you’re enrolling into a PMP exam prep course with us, you don’t have to worry about the new changes at all! 5. If you’ve already undergone PMP training and are looking for ways to update yourself on the new topics, consider enrolling yourself for a PMP boot camp. 6. Take the practice tests that have been updated with new questions. Remember, you already have years of extensive knowledge and work experience. Add a few study hours and PMP training to the mix, and that’s it, you’re all set to take on the new PMP exam! The PMP certification can boost your career and pave the way for better, high-paying jobs. Businesses are recognizing the need for certified project managers, passing the PMP exam is a must. But what happens when you give the exam your best shot and unfortunately do not get through? Believe it or not – you are not alone. PMI has designed the test to be extremely hard and most first time test-takers fail the PMP test. You may have been a project manager with years of hands-on experience. But is that all it takes to pass the PMP exam? No. It is good to be confident, but too much of anything can do more harm than good. Action: Never take the PMP Exam Prep Course for granted no matter how many years of experience you might have. Ensure that you study properly and complete as much PMP Training as you can. More often than not, candidates appearing for the PMP exam fail to read up on the PMBOK guide or use free resources on the web, which are not likely to be accurate. While there are countless resources available, choosing the wrong one could spell doom for you when it comes time to take the test. Action: Read up on the PMBOK at least twice to gain theoretical and practical knowledge to crack the exam. Enroll yourself into a PMP exam prep course. EduMind is a REP and provides world-class PMP training with the best study resources made available. In spite of proper PMP prep, several PMP aspirants find the stressful exam environment to be their breaking point. Practice sessions let you get accustomed to the exam pattern before facing the real thing. With no insight into what you’ll actually be facing, you can be sure that your performance in the exam is going to fall short. Action: Take up practice sessions and loads of them. EduMind’s PMP exam prep course is accompanied by practice sessions conducted using an online exam simulator. This can help you get a feel for the real exam. PMI tests candidates on their attention to detail and frames questions in a manner that will leave one feeling confused. This happens when you only read, but fail to grasp the underlying concept of the question. Action: Read and re-read the questions several times. If you miss out on reading a single “not” in the question, then your entire interpretation of the question is altered. As mentioned earlier, take the practice tests to get more accustomed to the type of questions being asked. No matter how determined and how passionate you are about passing the PMP exam. If you do not have a proper strategy before taking the exam, then you are doomed once the exam timer starts. With professionals juggling between their busy personal and professional life, the need to form a proper strategy is often ruled out of the equation. Action: Plan on taking the PMP Exam only when you’re sure you can dedicate the time and energy it demands. Right from the application process to your PMP Training, strategize every phase before attempting the exam. PMI’s infamous PMP certification is every project manager’s dream come true. The credential holds immense value in the eyes of potential employers and opens up promising opportunities. If you wish to acquire the PMP certification, making your way past the PMP Exam Prep Course is the toughest challenge. First time test takers may be apprehensive about what to expect in the exam. Even professionals with years of experience in the project management field do not fully understand what it takes to pass the PMP exam. This has given rise to a number of misgivings about the PMP test. We bring you the top 5 myths surrounding the exam and bust them, so you can bid adieu to your PMP exam woes forever. No, this is not true. While this was true at one point in time, nowadays, passing the PMP exam is no longer about the percentage of questions with correct answers. The PMP test format follows a psychometric analysis. This means that the questions which are tough contribute to a larger part of the total score than the easy questions. Answering a few hard questions correctly will get you a higher score percentage than answering several easy questions correctly. Therefore, the number of questions you answer does NOT determine whether you’ve passed or failed the exam. This statement is not valid since there is no specific authorized course to prep for the PMP exam. Anyone from a REP to PMI component organizations to distance learning consultants can provide PMP exam prep courses. However, in order to ensure that the quality of training obtained is standardized, it is highly recommended that PMP training is availed from a REP. EduMind is a PMI REP and availing its courses gives you the highest assurance of quality and standardization. Absolutely not! This is one of the most widely circulated myths about the PMP exam. While it is widely stated that the auditing is based on applicant profiling, the claims are absolutely false. The audit process is completely random. If you think that your application will not be called for an audit, then think again. When completing the PMP application process, bear in mind the chances of you being called for an audit. It is better to be safe, than sorry and prepare well in advance. There are around 500 ITTO’s described in the PMBOK guide and memorizing all of them is a huge waste of energy and time. Instead, focus your efforts into understanding the concepts behind them. Questions that are commonly asked during the PMP exam revolve around how or why a specific ITTO is used and does not require memorization. No. What you actually need are 35 contact hours in order to be eligible for the PMP exam. The PDU’s i.e. Professional Developmental Units are required after you’ve obtained your PMP certification. PMI requires that one must earn at least 60 PDU’s every three years to maintain the PMP credential. However, first time test-takers need not worry about PDU’s. If you do not have 35 contact hours, then acquire them first before making an application. Participate in any of EduMind’s PMP exam prep courses and you will gain the much-needed 35 PMI approved contact hours. There are countless myths surrounding the PMP exam in addition to the ones we’ve listed above. Do not let it get in the way of your PMP exam prep. When in doubt contact PMI customer care service or talk to your PMP exam prep course instructor to debunk any unsettling myths you come across. Conflict may be defined as a difference of opinions and actions that prevent smooth functioning of a project. Conflict may occur due to a lot of reasons. We human beings are not similar to each other, and just as our fingerprints are unique our thoughts and actions are also unique and different. These differences can lead to conflict. Insufficient Resources: Sometimes the cause of conflict may be due to insufficient or few resources to complete the project. The project may need five human resources to complete the work on time; but, the project may be allocated just two resources. This lesser number of resources leads to too much workload and work pressure for the team members and will eventually lead to conflict. Similarly, if the inventory team is not stocking up adequate raw materials needed for production, this also may lead to a conflict. Therefore, resource scarcity must be reduced to avoid conflicts. As a project manager you should make sure that there are adequate resources to complete a project. Differing Priorities: Normally the priorities of all team members have to be aligned; however sometimes the priorities of team members may be different. For example, the project lead may insist on completing the project on time. But the team member may be taking additional time to deliver the product with a focus on quality. This quality vs. deadline dilemma leads to conflict in projects. When you are a project manager, you must make a balanced decision as to what aspect of the project is important based on customer study and needs. 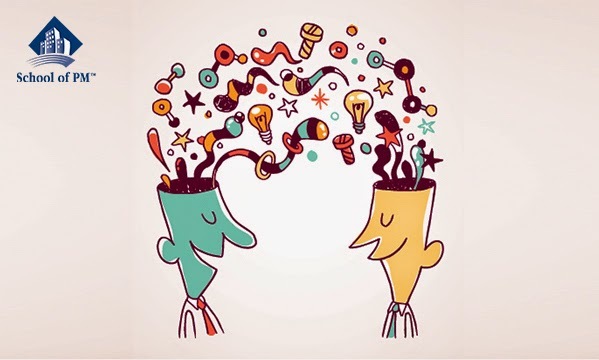 Different Working Styles: One team member may be hardworking but may not communicate well. Another team member may be lazy and leave tasks incomplete. Another team member may be socially very active and act as a liaison between the team members. Another team member maybe questioning all the policies; another team member may be creative and always bursting with new ideas. One team member may be willing to work late nights. While another team member may prefer to come in early in the morning and go home early. A project manager must be aware of the working styles of each team member and make sure that the differing styles do not lead to conflict. Methods and Techniques to Reduce Conflict: To reduce the different types of conflict every team should follow certain rules and regulations. Project team members may need instruction on appropriate behavior in a group. Sometimes a project manager can encourage the team members to resolve a conflict among themselves. Or if there is a time crunch, then the project manager can intervene and resolve the conflict. The areas of similarity in a conflict can be emphasized. If there is a partial or temporary solution for the conflict then it can be implemented. Sometimes, the project manager needs to force a solution even if others do not agree. If none of the techniques are working, then the project manager must think of disciplinary action to resolve the conflict. The PMP® Exam Prep Course of School of PM explores in detail the topic of Conflict Management. Is Managing a Project a Natural Talent or Acquired Skill? Successful project managers are people who have polished their skillset into a talent. Project Managers who are good at handling a project from its initiation to completion are praised as talented Project Managers. Is it talent or skill which is most needed for a Project Completion? Project Management skillsets such as subject matter knowledge, effective time management, knowledge in project management tools, organization, communication, political savvy, and leadership qualities are the most required for the Project Managers. These skillsets are acquired through actual on-the-job work experience. Even the most talented Project Managers should have functional knowledge of managing a project. Talent Vs Skill: A Talent is a natural ability of a person and whereas, Skill is a person’s learned ability. Let’s take the two different abilities and we can understand the differences more clearly. A project manager may have talents in certain project management skillsets but may lack in others. Whereas, the skilled project managers have worked on their inborn talents and their acquired managerial skills to perform well in a project. Skillsets such as knowledge, organization, and communication can be learned over a period of time. When a project manager with mere natural ability is handling a project, then there are possibilities for the project to be faced with a lot more challenges. When a project manager with learned project management skillsets is handling a project, then it would be finished within the given project constraint. Thus, an acquired skillset is easily available for anyone who is willing to learn and gain from it. Project management skillsets can be learned with good and structured training. Earlier these skills were only learned through on-the-job experiences. A person can sit for the Project Management Professional Exam, only if they have fixed years of experience in the field. But with the growing number of Project Management Training institutes, it is now possible to learn about the basic through a self-guided online course. Alternatively, it is possible to gain knowledge and experience from joining a Project Management Office (PMO) within your organization. 1. Knowledge of Business Process: A good project manager is aware of all the latest business processes that are currently in function in the business environment. The business process tends to keep changing at fast-pace with the growing project needs and client’s requirement. A sound knowledge on the various management methods helps a project manager to excel in completing a project. The best way to be updated with the latest Project Management related information is by allotting time in your schedule for reading up on the topic. This is a strenuous effort where talent plays no part. 2. Technical Knowhow: A project manager with a specific role in the project needs to have certain types of technical knowledge, which would enable them to clearly understand how the project should be directed. These technological skills can be acquired with extra training or continued education. Here also, the talent doesn’t play any part but conscious hard work is needed. 3. How Project Management works: An efficient project manager is well aware of the different stages of project management and is able to execute it properly. This various stages of project management form a part of the detailed project management procedures, which the project managers should be aware of. Even this does not indicate talent, but just a hard earned ability that is developed into an acquired skill. 4. Leadership Skills: A commanding voice and a personality to match cannot immediately mean that the person has leadership skills. A Project Manager needs to have soft and hard skills in commandeering a project to its closure. If the person works on their basic character and makes relevant modification, then they are sure to learn leadership skills. Leadership skill is learnable and retainable for a determined project manager. In all this, what can be seen clearly is – to become a project manager, it is not so much about talent but it is about acquiring a skillset through strenuous and hard work. When you continue to work relentlessly on your acquired skillset, then it will turn into a talent. In this way you can learn to become a talented project manager. 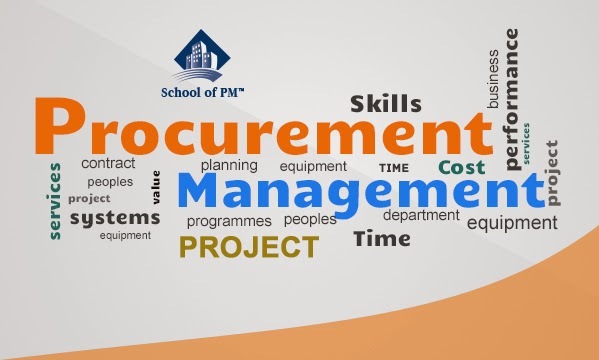 We, at School of PM, believe that you can also become a Talented Project Management Professional and gain a certification to excel as a Skilled Project Manager, if you take our PMP Exam Prep Course. "Try our flexible Corporate Training… Voila! Your Employees won’t be able to resist Passing the PMP®!" Many Corporations, of late, have recognized the need for a certified PMP’s contribution to an organization. They may feel that their organization needs to increase a particular team’s knowledge base about Project Management while focusing on specific areas. To fulfill the needs of corporations, we offer flexible PMP® Courses to update their teams on the latest insight and information on Project Management in the specialized areas of their choice. Our tailor-made PMP® Courses, for companies of any size, help to build the Project Management knowledge base of your employees with a PMP® Certification. If you have identified a need within your organization to upgrade your team of Project Managers or see value in your employees obtaining a PMP® Certification, then we can be your one-stop shop for your PMP® Exam preparation course requirements. 1. 4 days of intense classes to get your employees ready for the exam in record time and with increased confidence in taking the test. 2. FREE 35 hours Certificate even before your first prep classes. 3. Guidance for your PMI® Application process. 5. “Live Interactive Online Group Study Lab” for a peer-to-peer discussion experience. 6. No Payment processing until 3 weeks prior to the start of prep classes. 7. Experienced Instructors will provide you with the right amount of challenge and inspiration for well-coordinated classroom training. 8. Risk-free enrollment will give you the security of flexible cancellation. On-Site Training – This option allows you to have the onsite training at the location of your choice. The training could be given in a familiar work environment for the participants of the PMP® Exam Prep Course. Hosting the training at your location ensures good camaraderie and an interactive study space. Weekday or Weekend Classes – Our training classes are available at flexible times. If you would like to block off four days in one week to enhance your Team’s knowledge base on Project Management, then you may use the Weekday Classes. If your Employees are available only during the weekend, you may use the Weekend Classes. Live Online Classes – This particular option is available for organizations when there are commuting issues or if the participants in the course are from various states. If, the goal is to getting their special team to upgrade their project management knowledge based on the Project Management Body of Knowledge (PMBOK® Guide) 5th Edition concepts, then it is quite possible the company will benefit from a Live Online Classes. Customized Classes – No two people are the same and likewise no two companies will be the same. We, at School of PM, understand this diverse environment well and aim to provide the right kind of tailored training classes for everyone. The course can be tailored to a area of specialization as per the organizations request. This ensures that an area of expertise is polished and test taking skills are enhanced to support the exam takers. The organization not only makes the best use of their time and effort but also makes certain that they have the best qualified team. Affluent Off-Site Locations – School of PM wants to ensure that corporate participants not only make the best use of their learning from our PMP Training but also feel encouraged to join in the learning experience. We understand to do that, there is a need to be in an optimum level of comfort. School of PM conducts classes at affluent hotels and conference centers which have the technology needed to make the training engaging for the participating PMP® Exam takers from your organization. We believe in providing the best of educational services to support and enhance the common goal of organizations for their employees to earn their PMP® Certification. Our expert training would provide understanding of complex projects. Contact our Corporate Account Representative and increase your team’s knowledge of Project Management and earn that prestigious PMP® Certification. Let’s enroll in our course, contact our Corporate Account Representative either by sending an email to info@schoolofpm.com or by calling @ 888-888-9917.